Wolf | L & J Appliance Service Inc.
A Wolf is a cornerstone of any great kitchen. Since they became a part of the Sub-Zero family in 2000, and even before, they had a reputation for being some of the most well-engineered cooking units on the market. When Sub-Zero acquired Wolf, our technicians began thorough training right away. 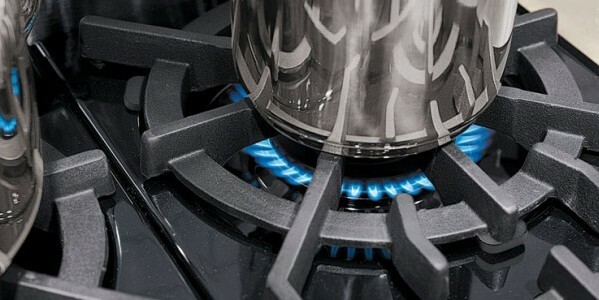 We know that a stove can be the center of the kitchen, so we know how important it is to get yours back up and running as quickly as possible if it ever goes out of commission. We don’t use that term loosely, and neither does Wolf. L&J is a factory certified service business for Wolf and Sub-Zero products — and for good reason. Many of our technicians have almost 10 years of experience working on Wolf appliances (and even more for Sub-Zero). You can be sure that if you give us a call, you’re getting the experts. We’ll fix your unit the right way – the first time. To contact us about a service appointment, complete the form below. We serve Manhattan as well as Bergen, Essex, Hudson, Morris, Passaic, Sussex, and Union counties in NJ.